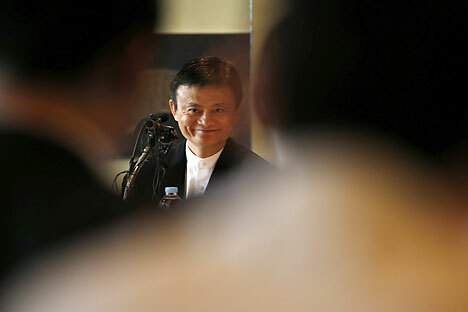 Jack Ma, founder of China's largest e-commerce company, the Alibaba Group, will visit Russia this month for the St. Petersburg International Economic Forum. Ma will address the forum on June 19, according to Alibaba's representative in Russia, Mark Zavadsky. Jack Ma is the second richest person in China, according to Forbes. In the last global billionaires rating he was in 33rd place with a net worth of $22.7 billion. The Alibaba Group, which Jack Ma founded in 1999, has its own electronic payment system - Alipay. It also controls the Taobao.com and AliExpress Internet stores. In 2014, the Alibaba Group attracted $25 billion during an IPO at the New York Stock Exchange. Recently, the Alibaba Group registered a representation office in Russia. AliExpress already operates in the Russian market.